In practice since 2005, Ashley has devoted her career to defending healthcare providers and entities in all aspects of medical malpractice litigation. She has represented practitioners in a wide range of specialties including obstetrics and gynecology, neurosurgery, radiology, orthopedics, family practice, counseling, dentistry, nursing, cardiothoracic surgery, emergency medicine, internal medicine, psychology, physical therapy, interventional radiology, infectious disease, urology, anesthesia, nephrology, social work, and chiropractic medicine. Ashley understands that when faced with the stress and uncertainty of litigation, healthcare providers feel reassured when their attorney demonstrates a solid grasp of the medical and legal issues, strong analytical skills, common sense, and compassion. Ashley says, “I always aim to make my clients feel they are in good hands. Maintaining good communication is essential to conveying that peace of mind.” Ashley welcomes questions and input from her clients and works collaboratively with experts and colleagues to meticulously craft a defense. Having litigated hundreds of medical malpractice cases, Ashley has had defense verdicts reported in the 2010, 2013, 2014, and 2015 Virginia Medical Law Report’s list of Million Dollar Defense Verdicts. For six years in a row, she was selected by her peers as a Virginia Super Lawyers Rising Star in Medical Malpractice Defense. Only 2.5 percent of all lawyers in Virginia are selected as Rising Stars. Virginia Business magazine also recognized Ashley as a Virginia “Legal Elite” Young Lawyer in 2013. 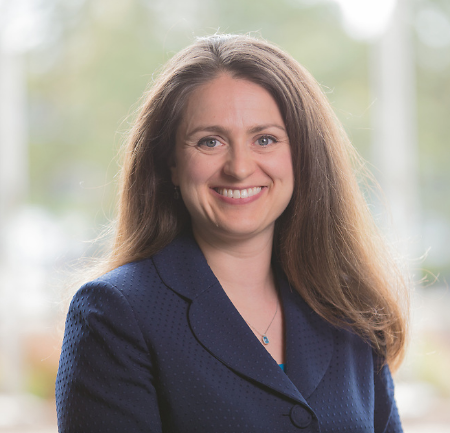 In addition to her practice serving healthcare providers, Ashley is active in the Richmond community, serving on several boards and volunteering in her spare time.